The NARBA (North American Radio Broadcasting Agreement) Treaty was initiated in 1941 to attempt to regulate the use and allocation of the limited radio spectrum in the “Americas”. This was particularly needed in regards to the borderless nighttime sky wave propagation. In 1950, the treaty was due for renegotiation, and 690 kc was one of the frequencies in the fray. The Cuban government had made known their new designs on the 690 frequency. Under the Cuban proposals for the new NARBA treaty, they planned on upgrading a 10,000 watt station on 690 kc to 50,000 watts of power. Cuba had put 690 kc on a list of frequencies on which the Havana government wanted the FCC to make no further grants in Florida, southern Georgia, Alabama, Mississippi and Louisiana. U.S. and Cuban delegates were scheduled to reconvene in Havana on February 1, 1950 with the entire NARBA to resume in the U.S. around the first part of April 1950. The Commission stated that “under these circumstances, it would be in the best interests of the U.S. to withhold action” on the 690 case. Broadcasting magazine noted in its December 5 issue that if the Cuban proposal becomes law then the proposed grant for Brennan Broadcasting would have to be deleted. As the decade began, there were two dark clouds hanging over the application for the Jacksonville license; continuing litigation with WTOC and the conference to hammer out a new NARBA treaty. The latter could put a permanent stop to the Brennan’s pursuit of 690 in Jacksonville. Before the close of the decade, there would be two more challenges to the Brennan’s stake in 690 and no official US Government ratification of the besieged NARBA treaty. As previously noted, the 1950’s would begin as the 1940’s had ended, with the Brennan application, and its competitor WTOC in administrative limbo due to the unknown outcome of the NARBA conferences. The impact of the NARBA proceedings was so great upon the application for the Jacksonville station that a basic understanding of those meetings will provide a useful background to the decade. The North American Radio Broadcasting Agreement (NARBA) attempted to regulate the allocation and use of radio frequencies between the nations in our hemisphere. The first treaty took effect in 1941, and ran for five years. All nations had been operating under and interim agreement up to this time. Broadcasting magazine described a “threat of ether war” hanging over the close of the Montreal NARBA proceedings of 1949. At the end of that late November meeting, the US industry advisory council had voted 6-to-4 to reject a “Cuban channel raid” on the AM band. The Cuban delegation’s proposal included major demands on US clear and regional channels. If accepted, the cumulative effect would have been another major channel shift for AM broadcasters (the last was in 1941 in response to the last NARBA treaty), curtailed interference-free night-time service areas and severe limitations or outright prohibitions of the issuance of new or modified licenses on certain AM frequencies. The Cuban proposals impact on the Brennan application was potentially fatal; a ban on further licensing on at least 590, 690, 860, 950 and 1010 kc throughout Florida and in southern Georgia, Alabama, Mississippi and Louisiana. It only took the U.S. industry delegation three days of study to reject the proposal. It was reported that it was not solely a question of the undesirability of Cuba’s demands, but it came down to a decision to wait out the Havana delegation for the possibility of a better deal at a later date. Keep in mind that this treaty would involve many other broadcasters from within our hemisphere including Canada, Haiti, the Bahamas and Mexico. There was a genuine concern that if the Cuban plan was accepted, what might we expect to deal with at some future date from Canada and Mexico? Under the previous NARBA treaty 690 was already designated a Canadian 1-A clear channel, affording stations of that country maximum protection. This continues to impact the night signal of AM 690 in Jacksonville to this day. The next round of NARBA talks were scheduled to begin on April 1, 1950. But there was already plenty of activity in January. Mexico had not participated in the Montreal meetings of late 1949. The US delegation was exploring the possibility of U.S.-Mexican talks before bilateral sessions were set to begin in Havana on February 1. The U.S. delegation was prepared to stick to its guns and reject the Cuban proposal, even if it meant no treaty. But before these February talks could begin, the Havana government would snarl the proceedings. The surprise resignation of Arturo Illas, the Cuban Minister of Communication delayed the opening of the Havana conference. This meeting had been set up in Montreal to reconcile the differences between the U.S. and Cuba before the full conference meetings in April. Illas’ replacement would be Carlos Maristany who was head of the Cuban delegation to the 1946 NARBA (interim) sessions. This resignation also took the U.S. delegation by surprise. There were two notable persons in attendance at the Havana sessions. The first was FCC Commissioner Rosel Hyde, the commissioner who handled the competing applications of Brennan Broadcasting and WTOC in 1948. The other was William “Billy” Benns, Jr., consulting engineer and business partner of the Brennan’s. Billy was no stranger in the halls of the FCC or in the ways of governmental conferences. Benns’ dealings with FCC inspectors were termed “unique” by Cyril Brennan. Billy fought a charge of a distorted signal at WVOK twice. During the first instance, the FCC inspector stated that the distortion on the station was so bad he could hear it, and summarily cited the station. Billy appealed to the FCC that to send an FCC inspector into the field to investigate allegations of a distorted signal without the proper measuring instrumentation was ludicrous. The Commission sided with Benns. The defeated inspector returned to the Atlanta field office determined to prove his case against WVOK. Within a short time, he packed the trunk of his car will all of the field test gear he would need to cite the station for a distorted signal. The FCC agent took all of the appropriate measurements and once again, WVOK was sent a citation for distortion outside of the recommended limits. Billy was quick to appeal with his own set of measurements which proved otherwise. 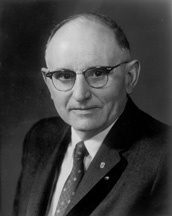 Benns stated that his measurements were the only true and accurate record of WVOK’s actual performance since his instrumentation had just been celebrated to the specifications of the National Bureau of Standards. He further asserted that there was no way the instruments used by the Commission could have maintained their accuracy after being bounced around in the trunk of a car during the 147-mile trip from Atlanta to Birmingham. The FCC once again sided with Benns and WVOK was not cited. By the end of February 1950, an agreement on U.S.-Cuban channels had been reached “in principle”. That agreement would give Cuba “special rights” on ten regional and three 1-A clear channels plus “additional privileges”. This agreement breathed new life into 690. The terms of this latest proposal stated that the US delegates would consider granting “realistic” additional protection to Cuban stations in making future US assignments on 550, 570, 590, 630, 640, 690, 740, 860, 920 and 980 kc. 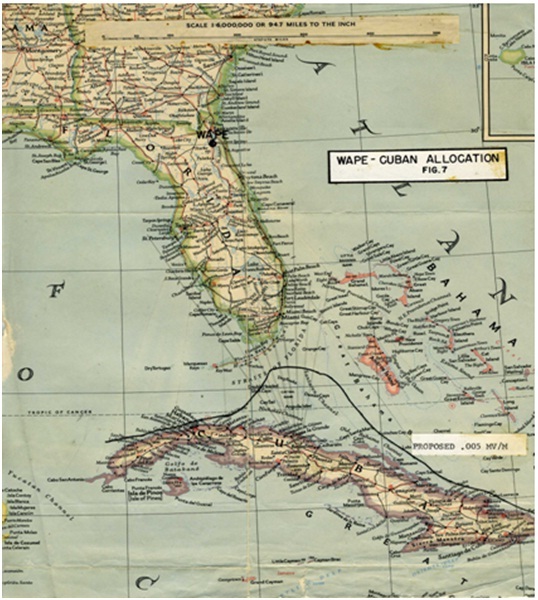 Doggedly outside of this agreement, Cuba was still seeking a total ban on further stations on these frequencies within the geography described earlier – including Florida. Once the U.S.-Cuba agreement was finalized, it was to have been offered to the NARBA for incorporation into the treaty. In the case that the NARBA could not come to terms with this agreement, many felt that the document would become a separate agreement between Washington and Havana. At the end of June 1950, a meeting of government and industry representatives was called for July 7 to review the latest developments in the NARBA treaty talks, and to prepare for the Second Session of the Conference, which was scheduled for September 6 in Washington, DC. “Progress” was one word used to describe the July 7th meeting which was held at the State Department. Overall, this meeting was another informal preview of what was to come at the all-important NARBA meeting in September. Commissioner Hyde reviewed the proceedings from the Montreal meetings and the US-Cuba talks from earlier in the year. The issues of discussion; signal propagation, a 650-mile protection boundary for certain stations and a Mexican proposal to narrow AM channels from 10 kHz to 9 kHz. Once again present at these meetings was Consulting Engineer – Billy Benns, who would soon be joined by a strong ally. The Second Session of the Third NARBA Conference was presided over by Commander C. P. Edwards, the Canadian deputy minister of transportation. 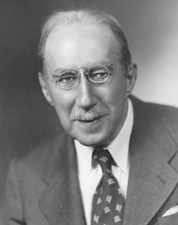 It was also Edwards who oversaw the First Session in Montreal at the end of 1949. Edwards was “quite optimistic” about the possibilities that an agreement could be reached. This session welcomed Mexico’s participation for the first time. Mexico’s involvement was key since it would be the US, Cuba and Mexico who would have the most to grapple with when it came to channel allocations in the Southern states. There were two lists of key participants in this Second Session. The first was a list of US government officials – headed by FCC Commissioner Hyde. The second was a list of US industry advisors, including, once again Billy Benns, and new to this session William Brennan, listed as Chief Engineer of WVOK. As delegates, Hyde, Benns and Brennan were in key positions influence the US position on the treaty. As the second week of this Session began, the U.S. and Cuba were not much closer to an official agreement. Most of the past two weeks had been spent in informal discussions and meetings dealing with procedures. By the end of the week, there would finally be some movement. Within a week, the Cuban delegation returned with their counter-offer, which sought higher protection on 14 channels, including 690 kc. They reiterated their plan where the U.S. would make no future assignments in Florida, and southern Georgia, Alabama, Mississippi and Louisiana on specific channels; 570, 590, 630, 730, 740, 920 and 980 kc. Omitted from the Cubans previous frequency list of March 22, 1950 were 550 kc, 860 kc and 690 kc. While the Cuban proposal offered a reprieve for 690, a new stalemate was in the works. This latest twist involved the Mexican delegations demand for new stations on US clear channel assignments. This would bog-down treaty progress through October of 1950. The beginning of November brought new optimism to the talks, as everything seemed to be in the “fine detail” stage with delegates hopeful of an accord within ten days. Commissioner Hyde was in the process of reviewing the basic provision with other members of the Commission. These were also being outlined to representatives of the US State Department. Gone from this draft were the restrictions of new assignments on 690 in Florida. Instead, the channel was one of eleven on which Cuba would be given “special protection” by future US assignments. Cuba would be allowed to operate their class of “1-C” stations on that, and other frequencies. The Cuban stations would be afforded protection from US stations to the 10 microvolt (10uV/m) daytime and the 25 microvolt nighttime signal contours at the Cuban border. Map from WAPE 50kw application shows the Cuban protection contour. After a few more sessions of final negotiations, the November 20 edition of Broadcasting heralded the headline that many had waited for – “NARBA SIGNED”; the official date – November 15th. When seen as a balance sheet, the protection afforded to the Cuban 1-C stations was seen as a negative. CMBC on 690 in Havana was slated improve its power to a full 50,000 watts with a directional pattern. Even the improved facilities of the Cuban co-channel would not prevent the Jacksonville allocation on 690, it would be an entity to be reckoned with when it came to protecting its service contours as set for the in the treaty. Each country then took the agreement back to their home countries for review and ratification. A long and bitter ratification fight looked imminent in the Senate for the US delegation. The first ratification by any country would take over one year. Having attained most of their demands, the Havana government was the first to ratify the new NARBA on December 17, 1951. The NARBA treaty would only come into force when ratified by three of the four major participating counties: Canada, Cuba, Mexico and the US. Congress returned to Washington in the second week of 1952. The NARBA still remained in a Senate sub-committee and was not yet on the agenda of the Senate Foreign Relations Committee. It was now the half-way point of the second session of the 82nd Congress, April 1952. With a full docket of other items, it was reported that no consideration has been given the treaty, nor have there been hearings or a report. The responsibility to expedite the treaty had been handed over to Senator Francis Green of the Senate Foreign Relations Committee. There was finally a call to action when on May 15th, Senator Francis Case urged the Senate to take up consideration of the Agreement after FCC Vice Chairman Hyde was confirmed for another term on the Commission. Any excitement must have been short-lived. As the summer recess approached, the Senate Foreign Relations Committee had still taken no action to confirm the NARBA treaty. This lack of action would take another toll on the Brennan application for Jacksonville. On October 7, 1952, the FCC issued a decision that pending “ratification and entry into force” the new NARBA, the applications for 690 from Brennan Broadcasting and WTOC were placed in the FCC’s pending file, and continued the cases in the hearing docket as well. The Commission noted that both applications “would fail to protect Cuba under the new NARBA.” Further stating that comparative hearings on the frequency could not be held until the status of the NARBA was settled.